This stray puppy was without a friend in the world - that is, until she found just the person to help change her life forever. Officer Kareem Garibaldi, from Florida's Lakeland Police Department, found the lonely little pit-bull-boxer mix wandering through a neighborhood while on patrol in the early hours of Saturday morning. Since she wasn't wearing a collar, the officer wasn't able to track down her owner. So, instead, he took her back to the station and later home with him when his shift ended. The next day, he tried once again to find the puppy's owner, but again to no avail. But when Garibaldi finished work this time, he did more than make sure she was safe. First thing in the morning, after his third 12-hour shift in as many days, Garibaldi brought the puppy to the SPCA Florida for a checkup. Upon arriving to work, the shelter's safety net manager, Connie Johnson, was touched to see just how dedicated the officer was to the little dog under his care. "I walked in, and that's when I saw him and the puppy," Johnson told The Dodo. 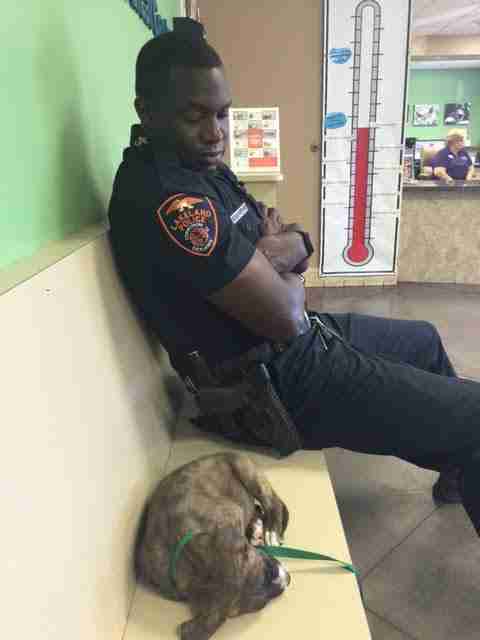 "He was exhausted, the puppy was exhausted, and they were sleeping. It was one of those moments that just grab your heart. He was so determined to get her help." For the next three hours, Garibaldi continued to wait while vets assessed the dog - who, aside from having some mites, was found to be in good health. "It clearly was a selfless thing to do. He wasn't thinking about getting home to sleep. 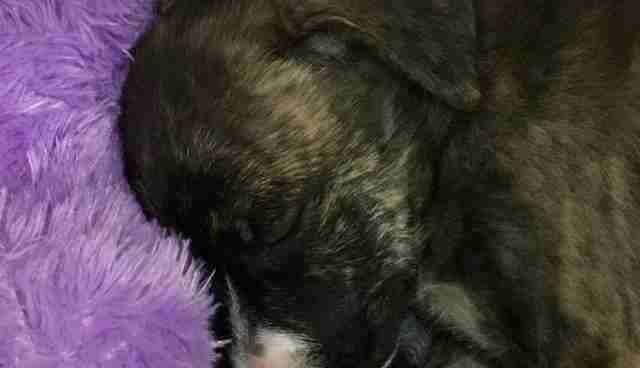 He was thinking about what he could do to help this puppy survive," said Johnson. "He actually woke up at one point just to see if she was OK, then he went back to sleep." After the checkup, Garibaldi brought the puppy, later named Hope, back to the police station - and that's where the happy story takes an even happier turn. 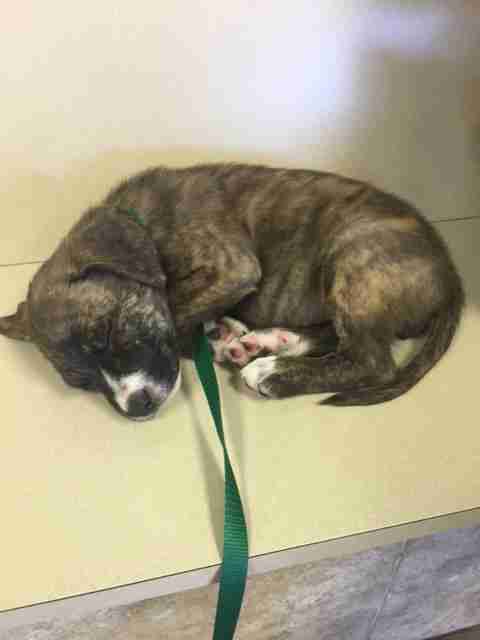 It was there, Johnson says, that a dispatcher saw the puppy and fell in love. Sure enough, Hope was adopted that day. Garibaldi's selfless act of service to make sure the poor puppy was safe has earned him an outpouring of praise, and for good reason. "It's the kindhearted officers like this that makes the Lakeland Police Department truly unique," his colleagues wrote on Facebook. 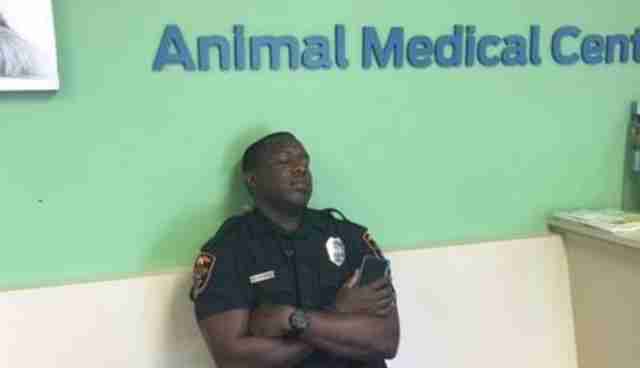 "Having worked a long weekend, Officer Garibaldi still found the energy at the end of his shift to help man's best friend." "This gentleman has such a heart. He really, really cared about the outcome of that puppy."